“Augmented reality” is likely one of those terms that you’ve heard before, but that’s more or less your experience with it. However, A.R. has likely been a bigger influence than you may have imagined - especially with the prevalence of smartphones being what it is. Let’s examine augmented reality and how it might be used later on. As we have inferred already, the smartphone has been instrumental in bringing augmented reality to the masses. In A.R. applications, the camera is used to capture the likeness of the user’s surroundings, while a virtual overlay is added for the user to interact with. This overlay incorporates stimulus from the Internet, the captured surroundings, and the user’s activity all at once. This technology has been leveraged by developers to try to develop apps, some for fun, and some that are more practical. There have been plenty of examples of each thus far. Augment, the furniture application, allows users to “test-drive” a model in the environment it will be used in, which is much easier than buying said furniture only to return it when it clashes with the base molding. As for entertainment, one only has to look at the success of the Pokémon Go app. There are even browsers, like Argon4, which incorporate A.R. Admittedly, not much has been developed completely just yet, but that hasn’t made A.R. any less promising. For example, imagine how much easier tutorials could become for particular tasks if A.R. was leveraged. Any task that can be broken into steps could be developed into an A.R. walkthrough. Take auto maintenance. Most people spend significant amounts of money keeping their engine tuned up and their vehicle road-worthy by bringing it to an auto shop. While some issues are certainly better resolved by the likes of a professional, some fixes are very doable for a novice - assuming they had a comprehensive, step-by-step guide to show them how to do it right. 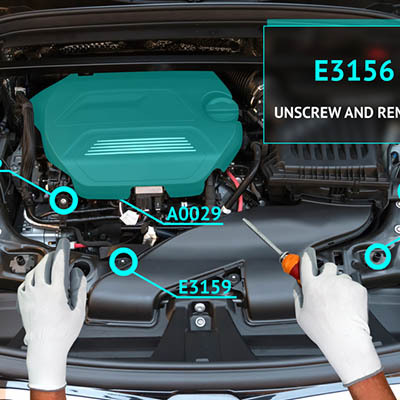 An augmented reality application could be that guide, teaching these novices how to change their oil or replace a spark plug. We may see these kinds of apps change the way that schools teach their students, allowing lessons to be learned conceptually and practically. eCommerce: Using digital overlays, real-time and lifelike shopping experiences can be developed, boosting consumer satisfaction. Gaming: Pokémon Go was just the beginning. A.R. has proved that video games and gamification can not only get people out of the house, they can get them interacting with other people, forming stronger communities. Marketing: By incorporating A.R. into the consumer’s experience, marketers can add additional impressions and make their efforts more impactful. While A.R. may not be everywhere just yet, we wouldn’t be too shocked if it started to pop up in more places sooner than later - and if it doesn’t, we’ll focus on making sure you get the best use out of whatever does. 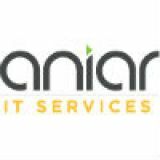 If you’re interested in hearing more about any of the services or technologies that we at Aniar IT Services are familiar with, give us a call at 094 90 48200 .